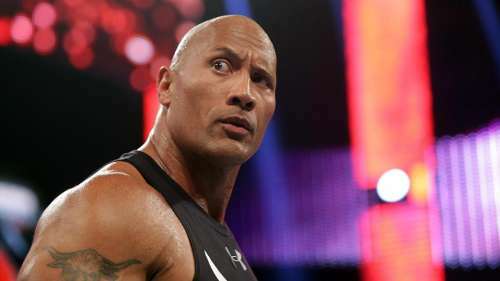 Do you dare sue The Rock, jabroni? Over the years, Wrestling promotions have had been sued more times than you could probably even count. Promotions can and will be taken to court for a variety of different reasons. The WWE are certainly no strangers to being sued; they are currently being sued for their role in the concussions of many wrestlers. Though many do sue the company, wrestlers are certainly not immune to lawsuits. Even though wrestling is a staffed show, things can go wrong in the ring and fans can sometimes get injured by a flailing chair, car door, or even a fist if the competitors are fighting through the crowd. The character side is not the only thing that can get the wrestlers in trouble with the courts though. They all have other issues going on the same as the rest of us and can be sued for personal reasons or reasons that have absolutely nothing to do with the WWE. A lot of these cases are kept under wraps and are very hard to find and research. In this article, we’ll take a look at 5 times WWE wrestlers were sued, some of which you may not have heard of! This is easily the most entertaining case of a wrestler being sued that I could find. Initially reported by Dave Meltzer in Wrestling Observer Newsletter, Natalya had a lawsuit filed against her by a prison convict who seemingly could not decipher the show he was somehow watching in jail from real life. The best part of this is the fact that he was representing himself. He was off to a loser before he even started! Further details came from Mike Johnson of PWInsider.com as the convict Christopher Donnelly accused Natalya of aborting his child and forcing him to do unspeakable degrading acts. Needless to say, this was thrown out of court immediately by the judge most likely because t it was completely fabricated. You have to wonder how deluded you have to be to even go ahead with a lawsuit of this nature. It certainly didn’t affect Natalya’s career as she is currently looking to dominate the SmackDown Women’s division, not convicts.